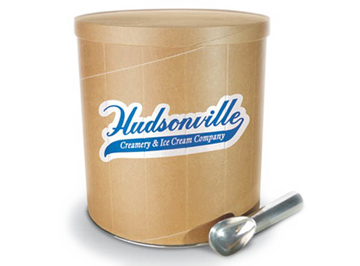 A birthday tradition of cake and ice cream combined into one great ice cream flavor. We infuse our original creamy ice cream with yellow cake batter flavor, then add real pieces of yellow cake and chocolate icing. Candles are optional. Milk, sugar, cream, water, corn syrup, skim milk, peanut oil, wheat flour, eggs, dextrose, whey, margarine (soybean oil, palm oil, water, salt, mono and diglycerides, soy lecithin, natural butter flavor, annatto (color), vitamin A palmitate), natural cocoa, fructose, corn starch, chocolate liquor, natural and artificial flavors, mono and diglycerides, salt, cellulose gum, yellow 5, soy lecithin, xanthan gum, guar gum, annatto (color). Contains: Egg, Milk, Soy, Wheat. Made in a plant that uses peanuts and tree nuts in other flavors.